Imagine how your life would be if one or some of your front teeth gone missing. Most definitely almost everything will be affected – eating, smiling, talking etc. There is no need to worry since Dentures 4 You offers “mouth guards” to provide a cushion to any blow or trauma to the facial area. With the aid of a well fitted and good quality mouth guard, injuries to teeth, tongue, lips and the facial area can be prevented. Mouth guards provide cover to the upper teeth as well as the soft tissues of the lips, tongue and lining of the cheeks. Ideally, mouth guards should be used by adults and children who participate in contact sports like the following: basketball, football, soccer, hockey, boxing etc. Our mouth guards are also recommended for those who engage in non-contact sports like gymnastics as well as activities like biking and skateboarding. 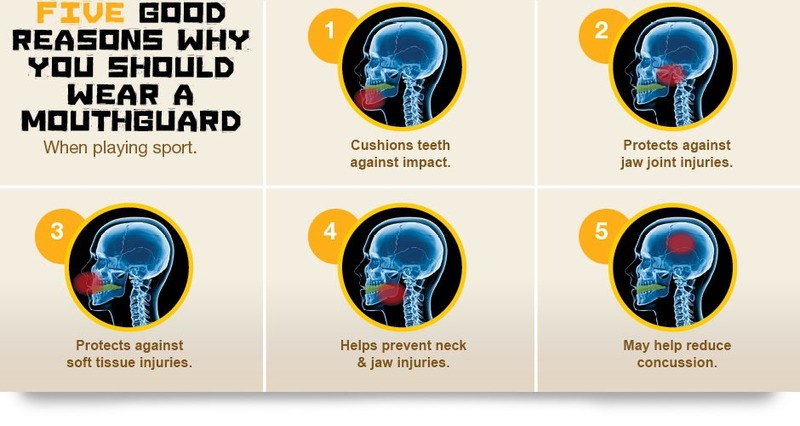 All these things could put the mouth at risk of getting an injury. Hence, mouth guards could reduce the injuries to your mouth. Most importantly, it protects the teeth from getting broken, chipped and worst, getting extracted. Also, if the ones you love have a condition called teeth grinding during sleep, they are also advised to wear a special type of mouth guard to avoid teeth damage. 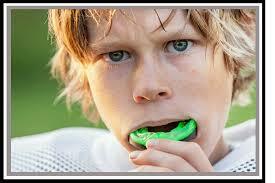 We have performed or ready to wear mouth guards that are guaranteed to be of fine quality. This is the least expensive type we can offer, but its use is restricted since adjustments can be hardly made to make it fit perfectly. These are also a bit bulky making talking and breathing hard. Although this type does not guarantee the best protection, we offer the best of its kind to provide our clients with an economical option without sacrificing quality and function. This is our specialty and what we recommend the most to our clients. This type is custom fitted and only professional dental laboratories can make them. To do this, we first get a mold of clients’ mouth and teeth using a special type of material. We then, take extra work and time to customize a mouth guard depending on the needs of our clients. This mouth guard comes at an extra cost, but it offers long lasting protection and comfort. Although these are also available in stores that specialize in sporting goods, we have pieces that fit better and offers greater protection compared to those in stores. We have this made with the finest thermoplastic material. Just put it in hot water and wait for it to soften. Then, the mouth guard is ready to be worn and shaped throughout the teeth with the aid of tongue and fingers. We are also glad to tell you that we can make nocturnal bite splints for you. This is a special type of mouth guard for those who grind their teeth during night. Looking for a dental clinic on the Mornington Peninsula that can determine which Mouth Guard is suitable for you and your sport? Contact us today on (03) 5981 2255 or book online peninsuladentalcare.com.au for a consult so that we can assess your suitability.